Donphan in game: 519 Who? Important notice! 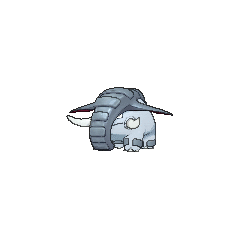 Pokemon Donphan is a fictional character of humans. Donphan first made a brief appearance in the beginning of Mewtwo Strikes Back, under the ownership of Raymond. At the time, it was an unknown Pokémon. 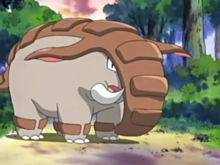 Donphan's first major role was in Roll On, Pokémon! A girl named Rochelle was using four to find amberite. In Date Expectations, many Donphan were falling in love with a Shiny Donphan. Tyson used a Donphan during the Ever Grande Conference which first appeared in Chose It or Lose It!. In Pokémon Ranger and the Kidnapped Riolu! Part Two, Kellyn had a Donphan smash through the cave-ins that were caused by an Aggron that belonged to a client of Pokémon Hunter J. A Donphan was one of the Pokémon seen at the Pokémon Swap Meet in Tricks of the Trade. A Donphan was seen in the wild in The Legend of Thunder!. Several Donphan appeared in Misty's flashback in Gotta Catch Ya Later!. 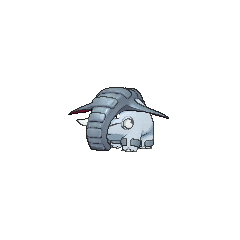 A Coordinator's Donphan appeared in Battling The Generation Gap! competing in the Celestic Contest. 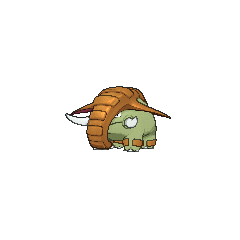 A Trainer's Donphan appeared in Challenging a Towering Figure! participating in the Festival Battle Challenge. A Donphan made a brief appearance under the ownership of a Trainer in the Lily of the Valley Conference in An Old Family Blend!. Ethan battles Ash with a Donphan in the beginning of Zoroark: Master of Illusions. 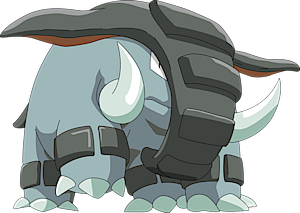 AG154 Donphan May's Pokédex Donphan, the Armor Pokémon. 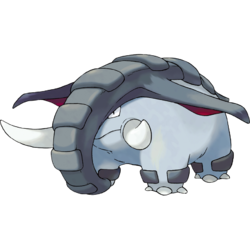 Donphan has razor sharp tusks, armor-like skin, and enormous power. 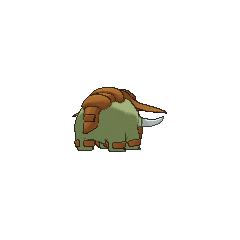 A silhouette of a wild Donphan appeared in Ponyta Tale where Professor Oak mentioned new Pokémon beyond the previously known 151 species. In Quilava Quandry, the Day-Care Couple used a Donphan to train Gold. A Donphan was one of the Pokémon sent to help the fight in Ilex Forest in The Last Battle XIII. In I'm Your Biggest Fan, Donphan, Wattson accidentally catches Sapphire in a trap designed to catch a wild, rampaging Donphan. After 'discovering' New Mauville, Sapphire uses the wild Donphan to help Wattson shut down a power generator, adding it to her team in Plugging Past Electrike II and naming it Phado.